Reporter Satoshi Onoe is not pleased. He’s not pleased at all. His boss/editor on Weekly Dash magazine has teamed him with scoop photographer Motoharu Kaburagi on a stake-out. 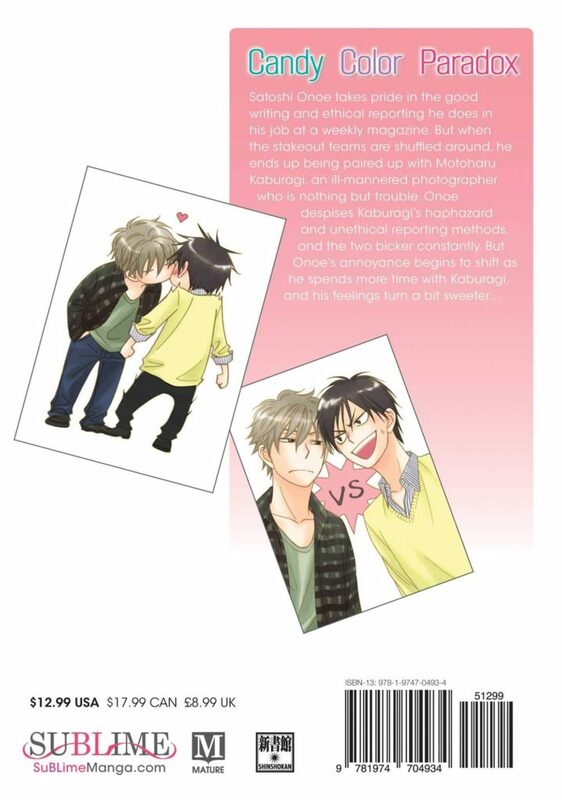 Not only was Onoe convinced he was going to work on the Politics team instead, but he also finds Kaburagi’s unorthodox methods of bagging a scoop distasteful – and, what’s more, Kaburagi is the man who stole his girlfriend. No wonder Onoe seeks refuge at his favourite bar, complaining loudly to his friend, barman Masa – when who should walk in with two young women in tow but Kaburagi! And Onoe, hiding behind a menu, sees a very different Kaburagi, smiling and charming his female guests. Who is this stranger? And when he realizes that Kaburagi is using his good looks to get inside information that will help them uncover what’s really going on in the organization they’re investigating, he’s back at the office begging to be reassigned. His request, of course, is denied. The ill-matched pair of reporters continue to argue their way through twenty-four hour surveillance stints, Onoe constantly proving a liability as he’s slow – not to mention reluctant – to adopt Kaburagi’s methods. As their targets are media stars, corrupt politicians and businessmen, it’s a risky business. And when Onoe, brimming with over-confidence, completely misjudges the situation and decides to go off on his own, will he realize how much danger he’s placed himself in? So is it plain sailing from here on? Absolutely no way. The arguments and misunderstandings are only just beginning, even if there is something else going on at a far deeper emotional level than either Onoe or Kaburagi can or will admit to. It’s fun watching them clash – and you can’t help rooting for them to put aside their differences and acknowledge their feelings. The world of journalism has a lot of dramatic potential, especially when the protagonists are staking out some shady characters, putting themselves in risky situations to get their story. There’s one slight drawback to this – which is no one’s fault – but it’s down to the way technology and social media have moved on since it was first published in 2011, making the reader pause and wonder if these kind of scoops are still staked out this way. This is the first of four volumes (the series is ongoing) so it will be interesting to see how Isaku Natsume deals with these developments in the subsequent episodes. Even though this series is rated Mature, there’s not much in the way of explicit material; the mangaka is very skilled at implying what’s going on as much as showing and she has a nicely judged sense of humour when portraying the complications that can ensue when things start to get hot and heavy. Praise is due to the SuBLime creative team: not just translator Adrienne Beck who delivers just the right tone of voice – but also letterer Vanessa Satone (so important in graphic novels ) because the different tones of voice are conveyed convincingly through the different styles of lettering used and editor Marlene First for pulling all of this together to make an attractive whole. 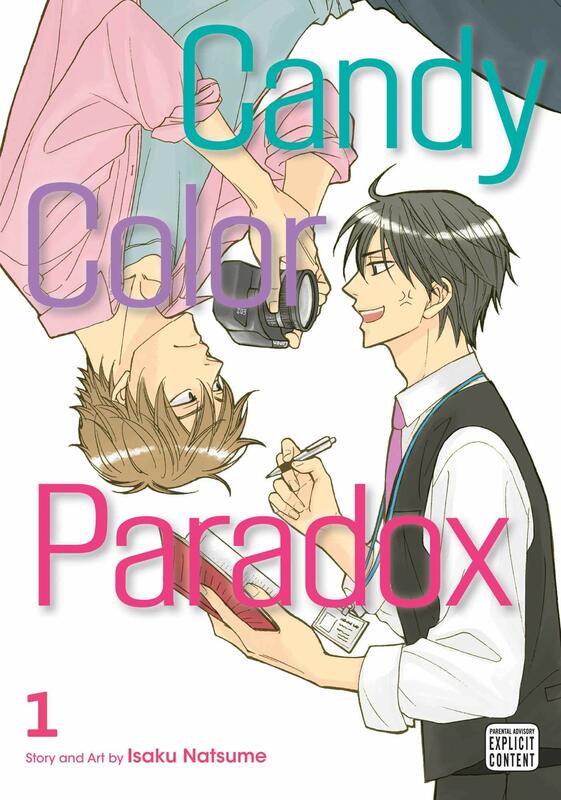 Entertaining, amusing, even touching at times, Candy Color Paradox is a welcome addition to SuBLime Manga’s Boys Love collection – and is highly recommended.